We make our ivory flat roof linings to the highest standards using only high quality lining fabric. Our linings are designed specifically for DIY Marquees and transform the interior appearance by hiding all of the framework in the roof. We make our ivory pleated roof linings to the highest standards using only high quality lining fabric. 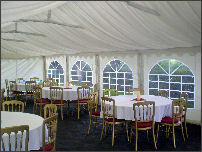 Our linings are designed specifically for DIY Marquees and transform the interior appearance by hiding all of the framework in the roof. 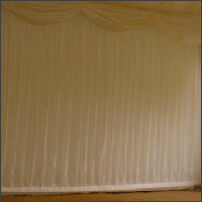 We make our ivory wall linings to the highest standards using only high quality lining fabric. 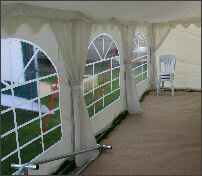 Our linings are designed specifically for DIY Marquees and transform the interior appearance by hiding all of side panels.